danielsternklar.com | Daniel Sternklar is an entrepreneur, digital artist, videographer, animator, virtual set creator, director, producer, musician, composer, stereoscopic multimedia producer, software developer, & virtual reality pioneer with nearly three decades of experience. Immersive experiences that highlight the importance of environmental protection. There’s no better way to celebrate Earth Day than hitting the streets with a garbage bag and cleaning up random litter scattered around your local area. It may feel like an insignificant effort in the grand scheme of things, but only by holding ourselves accountable to our environmentally-destructive behavior can we begin to take more serious steps towards preservation. 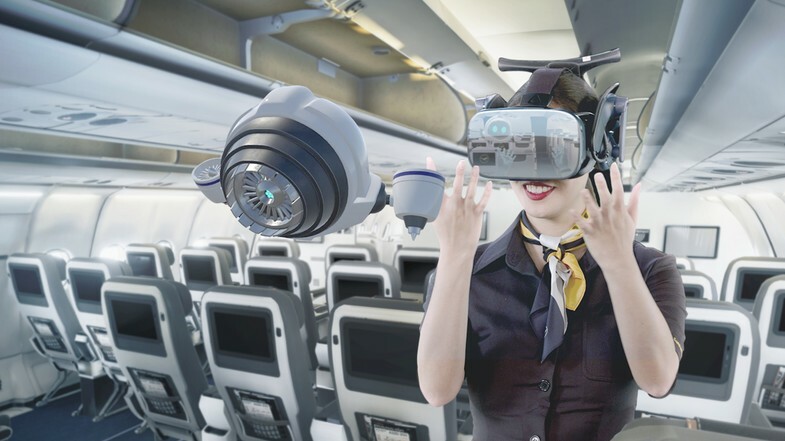 Thankfully, immersive technology—such as VR—has proven to be the ideal tool for educating the public on environmental issues and spread awareness through immersive projects designed to envoke a sense of empathy with the user. If you’re looking for another reminder of the importance of environmental conservation, here’s a small collection of powerful immersive experiences designed to educate users on the environmental impact of the human race and encourage them to take a more active part in its protection. Developed by Frontline, Nova and Emblematic Group in association with X-Rez Studio and Realta, Greenland Melting is a captivating 6DoF VR film that shines a light on the gradual disappearance of Greenland’s famous glacial structures. Throughout the immersive experience, you’ll travel across nine different locations and learn more about the changes taking place beneath the ice. Whether you’re flying over low altitudes in a photo-realistic NASA research aircraft or standing waist-deep in the spectacular Arctic Ocean, you’ll gain a clearer understanding of NASA’s studies across the glacial region via narration provided by one of the many accredited NASA scientists guiding you through the experience. Narrated by Lupita Nyong’o, My Africa is an eye-opening 360-degree documentary short that covers the courageous efforts of Northern Kenya tribes to protect African wildlife from animal poachers. Throughout the nearly 10-minute experience, you’ll follow Natlwasha Leripe, a young Reteti Elephant Sanctuary keeper who has been charged with caring for a newborn elephant. It’s truly inspiring to see African tribes utilize rudimentary tools at such an effective level, from digging for water to coordinating animal rescue efforts with modern wildlife organizations. Ocean acidification caused by rampant CO2 emissions has resulted in lasting damage to various coral reef ecosystems across the globe. Unfortunately, showcasing the effects of carbon pollution in a way meaningful way is a difficult task, especially when it comes to those totally unfamiliar with pH levels or marine biology. The Stanford Ocean Acidification Experience—available via SteamVR, Viveport, and Oculus—does a wonderful job of breaking down the complex chemical processes that have resulted in permanent damage to various marine-based ecosystems. The experience begins with you surrounded on all sides by heavy traffic as gasoline-powered vehicles spew noxious carbon monoxide fumes in your direction. You’re then transported underwater to see the effects of the dangerous fumes on various coral life, draining them of vitality due to the acidic water; a powerful representation of humanities destructive capabilities. Back in 2009, two chimpanzees from the New Iberia Research Center (NIRC) at the University of Louisiana, Lafayette, were ‘leased’ to Stony Brook University in New York. It was there the animals were subjected to years of invasive and painful medical testing. 18 years later, the tortured creatures were finally rescued from isolated captivity by Project Chimps, a non-profit organization responsible for the release of over 200 chimpanzees being used as test subjects in numerous facilities. To better highlight the many difficulties these animals have faced, the dedicated animal rights organization has showcased the results of their incredible work through a two-part docu-series shot in 360-degrees. 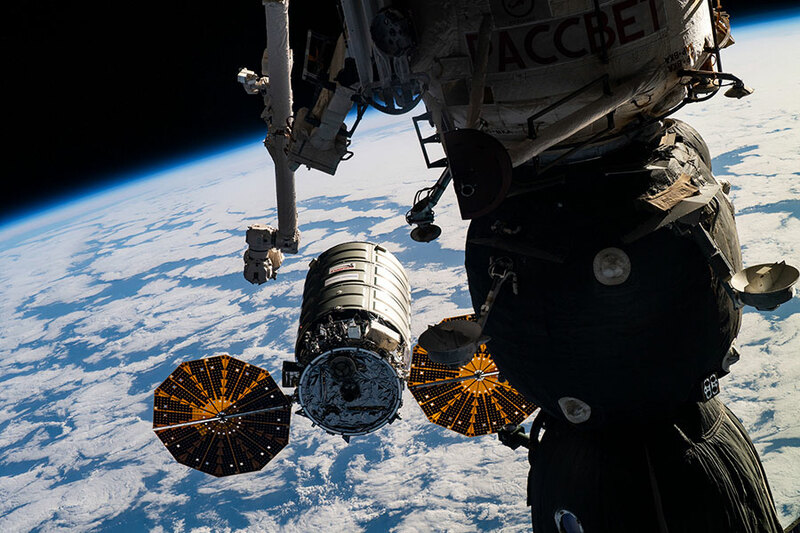 An oldie but goodie, the virtual rendition of Google’s immensely popular satellite-based geobrowser can be found in a majority of VR owners libraries. Whether you’re walking through the streets of Paris, France as a giant, or zooming out into space to view a miniature version of our planet, Google Earth is the perfect VR experience for showcasing the jaw-dropping beauty and scale of Earth. 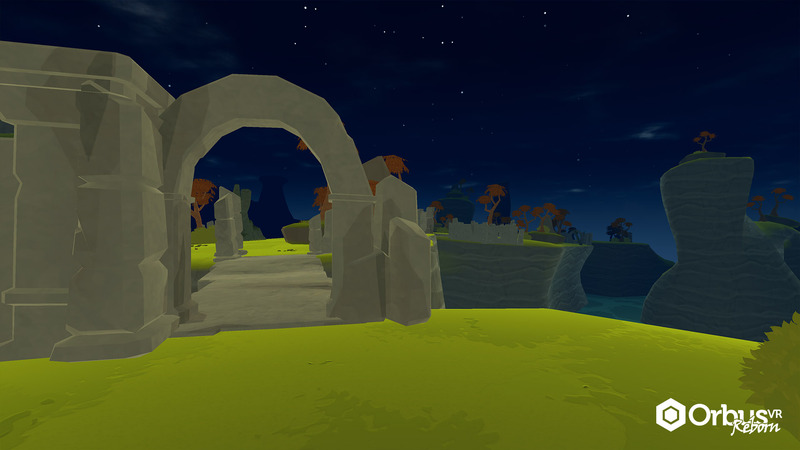 Instantly teleport to famous landmarks, explore foreign countries, and fly through beautiful scenery in this captivating room-scale VR experience, available free on SteamVR and Oculus. Take a break from all the commotion of your urban lifestyle with a relaxing trek through a collection of serene locales, from stunning waterfalls and beautiful forest sunsets, to calm ocean beaches and desert oases. Nature Treks VR not only lets you travel to-and-from exotic locations but allows you to alter the weather and time of day to create your ideal natural paradise. The games last update, Animal Kingdom, introduced 60 different animals to the experience, injecting new life into your digital environments. According to a report released by the Intergovernmental Panel on Climate Change, global carbon pollution needs to be cut in half by 2030 and continue to decrease to a net zero by 2050 in order to circumvent the absolute worst effects of global warming. 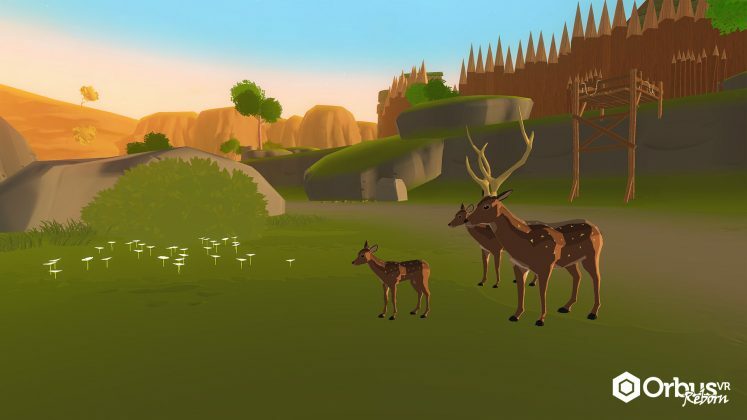 The post Celebrate Earth Day With These Nature Themed VR Experiences appeared first on VRScout. The old adage “seeing is believing” certainly checks out, but to believe in something, an idea, a notion, has one seeing it proven over and over again. I decided to create a photo campaign to make mixed-reality wearables look good and diversity in tech industry marketing a must. It’s what I believe in and what I want to see. Pics or it didn’t happen, ya know? When the Magic Leap One (ML1) originally shipped and went to market, I eagerly tried the headset the first moment I could. I was impressed by a number of features right away and the care the good people of Magic Leap put into constructing the hardware, but remained unsurprised when the wearable did not fit over my big glasses and even bigger hair. Plus, there’s no place for the Lightpack when you’re wearing a pocketless dress in your startup’s Silicon Valley office (one of my coworkers had to carry it behind me while I balanced my prescription frames as I tried out Project Create). Let’s be clear, there was no “woe is me” as I realize the future of wearables’ industrial design is inclusive, fashionable design; the concept of styling them has been danced around, yet barely asked to come to the floor for a waltz or even a twirl. See, we need to address the issue of ‘looking silly’ as soon as possible, of creating flexibility for different hairstyles and body types and the sizes of diverse facial features. It’s all part of the solution to the conundrum of adoption, sales and success for our industry. With a proactive push and a desire to imagine what the future of fashion might look like if immersive technology truly embraced different bodies, brains and beauty standards around the world, I created a concept to bring to life: what if I pulled from my background as a fashion photographer and produced the first-ever street-style photobook for the ML1 featuring a model and look that could make the wearable come across as a mainstream accessory? My images are meant to make one wonder what our strong model could possibly see, what world is she creating, which one does she live in? I poured over fashion influences and decided to find inspiration in sets of trendy neons, colorful patterns, Afro-futurism + Asian street-style. With vaporwave-infused illustrations as another source for funky, future imaginings I found myself bringing this project together on a passionate whim. I knew I wanted to cast a female model of color as the protagonist as they are so often underrepresented in tech while notably being the population of entrepreneurs and creators who are most often a great bet to bet on. I wanted her to be intense with clear eyes and an unapologetic stare as if she were an oracle seeing what is to come. Calling around to every woman I knew who worked in AR and VR, I asked for their ideas about representation, if they’d ever seen a concept campaign like the one I was working on, how they saw their own place in the industry and the state of wearables. Every single one shared that they were optimistic about inclusion, but also that they had struggled with headsets that were too big or didn’t fit their bodies properly, let alone over hijab or braided hair or big glasses, like mine. All this, plus the dreaded smudging inevitable for those who wear makeup. With a talented team of West Coast women (shoutouts to Taryn McKeen, Jessica Clark and Taylor Smith for making make-believe real) we ran off to San Francisco’s Mission District and brought these vibrant, defiant photos to life. I’d like to consider that what we did together took hardware and twisted it, turned it, put it in heels making it cool, casual hardwear. This is the next step in bringing the rest of the world out of the dark and into our trendy threshold (that, and more content!). Considering the global fashion industry is valued at $2.5 trillion and the overall tech trade at $3 trillion, it’s easy to see how the two complement each other economically. Factoring in additional cosmetics commerce coming close to $532 billion annually (we need to solve the makeup problem), we have to consider the impact these industries will have on each other as they continue to grow. Just like technology, fashion updates, upgrades and changes almost at lightspeed. From la haute couture to la mode du jour, it is as tumultuous as it is tremendous and it is one of the few industries that could potentially keep up with the tech sector. What besides the ML1 costs $2,300? Louis Vuitton monogram boots, Tag Heuer formula one watches and Gucci bomber jackets, and people are buying those. For the Business of Fashion’s 2019 report Leonardo Bonanni, advocate for fashion industry transparency and Sourcemap CEO, almost describes tech as he acknowledges that the apparel market is “one of the most volatile and fast-changing supply chains that I know of.” Realistically, only wearables, whether mixed-reality or otherwise, are the products that can merge and match up, but we have to adopt parts of the substantial fashion industry if we want the mainstream to adopt us. This challenge is not superficial, instead it’s survival and incredibly crucial to overcome as we manufacture similar industrial designs for billions of potential, future consumers. With prayers and pushes for the acceptance of XR or spatial computing wearables in general, we simply cannot expect enthusiastic admission of new users, let alone their capital and ultimately purchases of this gear and the content that comes with it all until the hallowed influencers of fashion and social media choose to style headsets as effortlessly and creatively as they do suits, skirts and sportswear. Think about it all this way: we owe it to ourselves and our budding industry to make it look as cool as possible in as many ways as possible and to vary the voices and forces leading the charge. Like a colorful and assorted diet, it’s statistically proven that diverse teams are better, stronger ones. 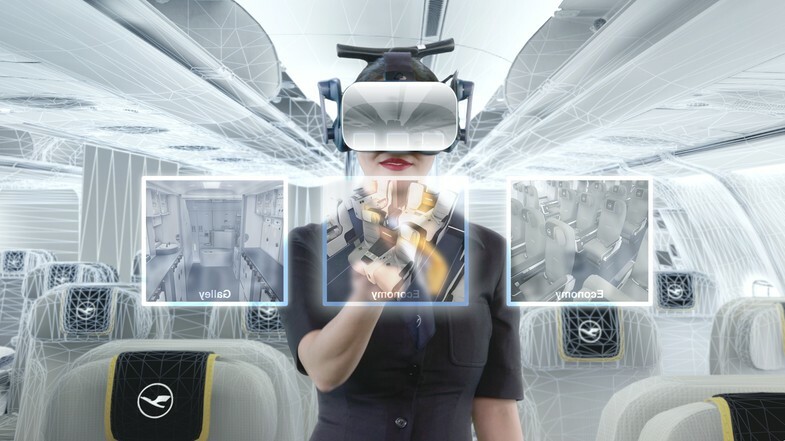 We need more XR imagery that features of the faces and personalities of those we wish to see in the industry, if only to attract them to join us, to invest in us, to create with us. Consider stock photography—we seem to only have access to a myriad of repeated looks of shock and awe in headsets on the same body types with the same skin colors without any break for diversity. Try to imagine how much nicer all our pitch decks would be with a photo upgrade. This photoset is a call-to-action to bring women and minorities into the fold to rebuild our world, redesign our technology and reimagine the potential for wearables and mixed-reality through and through. We’re coming for you. The post The Future of Fashion: Magic Leap One Street-Style As You Never Imagined appeared first on VRScout. With last month’s announcement of the Rift S, it became clear that Oculus was not ready to deliver a ‘Rift 2’, and instead opted to focus on making the existing Rift experience easier to use, rather than pleasing enthusiasts looking for a next generation experience. 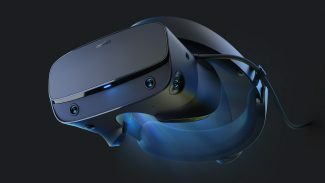 It was suggested that the company could have opted to offer a ‘Rift Pro’ for that latter group at the same time as the Rift S, but Facebook’s Jason Rubin explained in a recent interview why they didn’t think that was the right call. Jason Rubin has been a key spokesman for Oculus since he joined the company in 2014. While he now more broadly oversees AR and VR content & partnerships at Facebook, he’s still closely involved with Oculus. Rubin sat down with Road to VR for a wide-ranging interview at GDC 2019 last month, during which he spoke to the idea of offering a more expensive ‘Rift Pro’ as a high-end option for enthusiasts, alongside the Rift S.
For those who were hoping for a Rift Pro or Rift 2, Rubin claims that VR enthusiasts have diverse opinions on what would even constitute a ‘next-gen’ VR headset, and so it would be difficult to please the enthusiast group as a whole. In May of 2018, Facebook teased the Rift ‘Half Dome’ prototype which included eye-tracking, a varifocal display, and a 140 degree field of view. 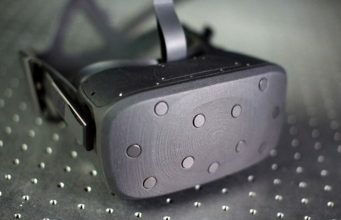 While the company was clear that it was only a prototype, it was surprising to see that none of those features wound up in Rift S which is set to launch this Spring, about a year after the reveal of Half Dome. There will be a next-gen headset one day, Rubin said, but not until it can come to market at the right price. Right now, Rubin said, the company believes that the most important thing it can do is grow its ecosystem, rather than introduce any major new features or fragment their userbase. The post Oculus Explains Why It Doesn’t Think the Time is Right for ‘Rift 2’ or ‘Rift Pro’ appeared first on Road to VR. 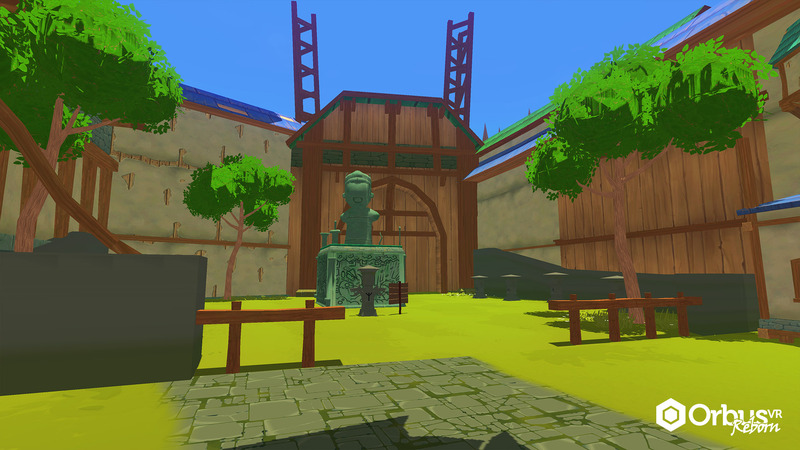 Existing owners on Steam or Oculus Store will see a free update to their game available starting this evening. Non-owners will be able to purchase the game no later than one hour before launch. All existing characters will be imported, each with one chance to change the look of the character. If you previously had levels in the Fisher class, that has been converted to reputation for the appropriate activity. If you participated in the beta and earned either the Dev Slayer or Super Leveler: Reborn achievements, speak with the Backer Rewards Vendor to receive your achievements, titles, and/or capes. If you achieved the minimum 18,000 points during the Defend the Realm event in the original game, speak to the Backer Rewards vendor to get your cape, crown, and pet. Your quests and talent choices have been reset. 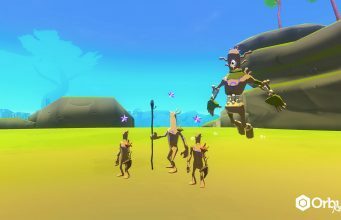 The developers also said that since the game’s early access launch in December 2017, 60,000 people have played the game, spanning more than 575,000 of game time. Currently the original game is no longer playable, until the launch of the expansion. The official launch of ‘Reborn’ is set for 10AM PT on April 23rd (local time here). The post VRMMO ‘OrbusVR: Reborn’ Expansion Launches Tomorrow, Quest Support Coming Spring 2019 appeared first on Road to VR. 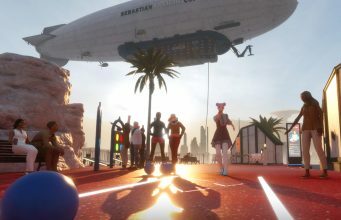 Linden Lab’s website maintains Sansar is their platform for creating social VR experiences, and that “Sansar will democratize VR as a creative medium, making it easy for people to create, share, and sell their own social VR experiences.” It seems however the company is less bullish on VR now that hype has died down—at least as far as the company’s messaging goes. 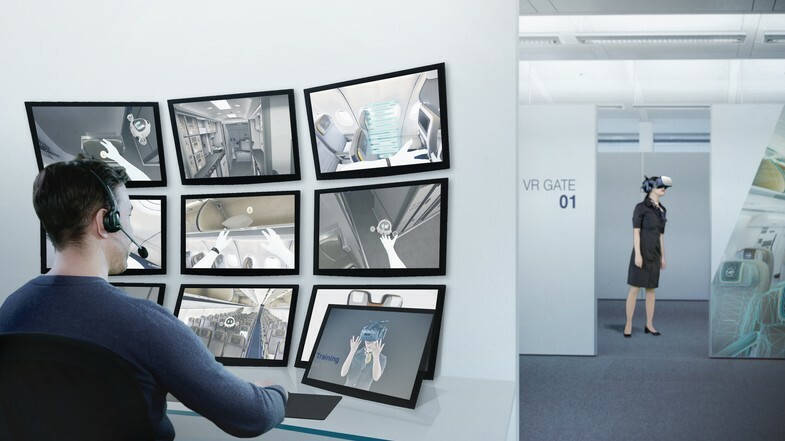 Speaking to New World Notes at GDC 2019 in March, Linden Lab CEO Ebbe Altberg says the company’s latest platform has always been a majority desktop experience ever since it went live back in 2017, and it seems he doesn’t expect that to change in the near term. “Statistically, it’s always been a majority PC, desktop. I don’t know what the exact numbers are: 75/25, 80/20, of […] desktop versus VR. And so you’ll probably be seeing us less pitching it as a VR thing,” Altberg told New World Notes. 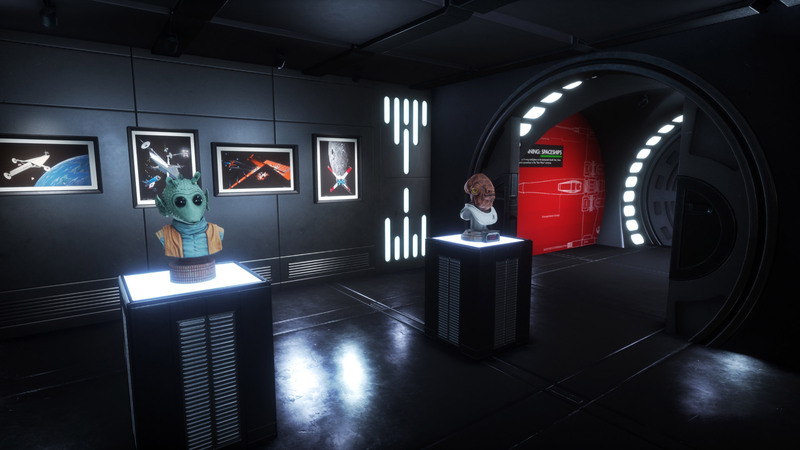 In the early days of release, Altberg says Sansar rode high on VR’s hype, however since hype has died down somewhat following the heady days of 2016 and 2017, the company is recentering its messaging around desktop users. Altberg says that since day one, Sansar has been focused on bringing equal access to both desktop and VR users, however he admits it’s been a big challenge. 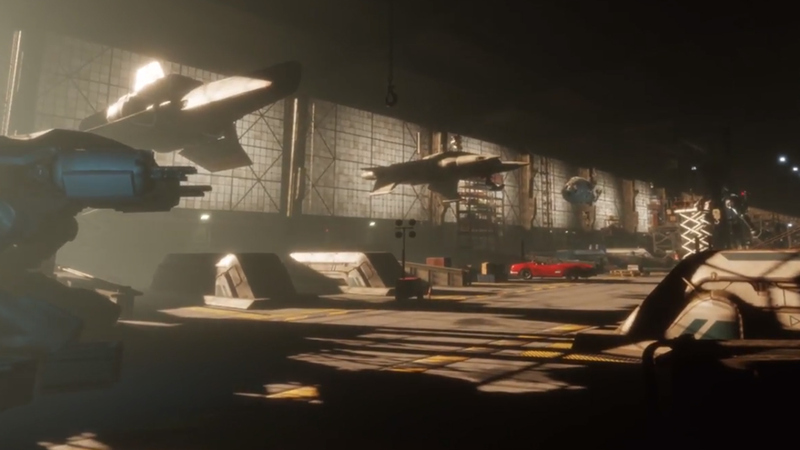 While Altberg didn’t speak about Sansar’s concurrent user numbers in depth, its forerunner Second Life is still the core business for the company in the interim, and undoubtedly funding Sansar’s creation. The studio employs around 70 developers to build Sansar, while Second Life’s development team has around 130. 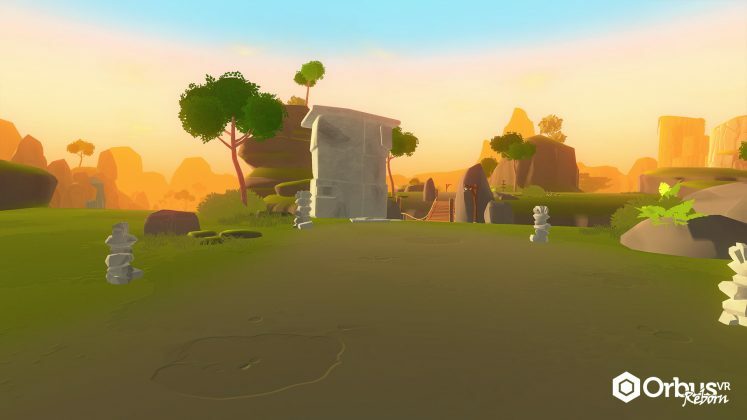 Notably, High Fidelity, the VR social platform from Linden Lab co-founder Philip Rosedale, recently announced is taking a similar step back from VR by emphasizing the platform’s desktop userbase—something that appears to be in response to slow platform growth. You can watch New World Notes’ full interview here. The post Linden Lab CEO: ‘We’re Pitching ‘Sansar’ Less as a VR Platform Now’ appeared first on Road to VR. 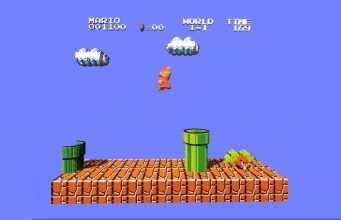 The post ‘3DSen VR’ Brings Nintendo Classics to VR, Demo Now Available on Steam appeared first on Road to VR. Shutterstock—one of the leading commercial providers of stock photography, footage and music—have officially entered the AR market with ‘View Room’ mode, a new feature on the official Shutterstock customer app that lets you to select any image featured on the Shutterstock platform and view it in a real-world location. After selecting an image and clicking on the “View in Room” button, the app will then open up your smartphone’s camera (so long as you’ve given it permission to do so) and allow you to stick the image to any flat vertical surface in your near vicinity. 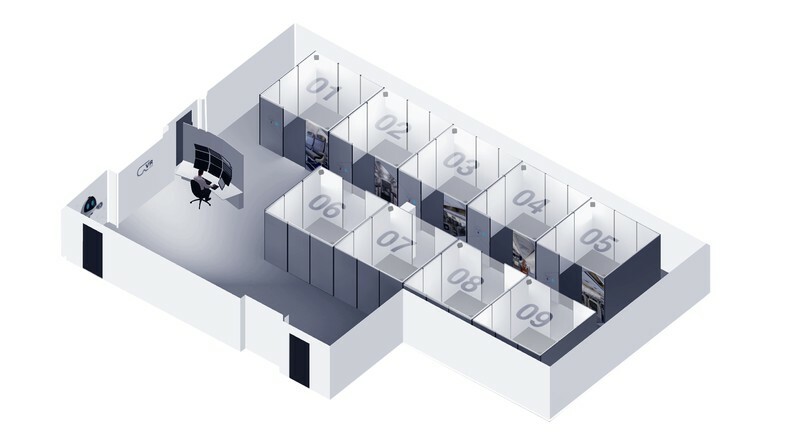 You’re then free to resize the image and move around the space to view it from any angle, gaining a crystal clear preview of how it looks in relation to the rest of the room in the process. 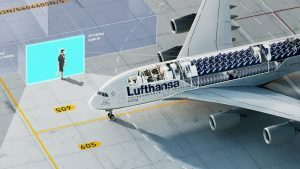 While several companies have already begun experimenting with AR home design, Shutterstock’s adoption of the technology marks a major stepping stone for the industry. The company fosters a growing community of over 650,000 contributors which results in hundreds of thousands of new images being added each week. Currently, the platform hosts an astonishing 250 million images and videos. Shutterstock’s “View in Room” feature is just the latest in a series of AR applications designed specifically for home design. Back in 2017, Amazon launched their own augmented reality shopping feature which allows customers to preview certain furniture in their homes before purchasing. Last year IKEA turned to AR to help its customers with assembling products at home. “View in Room” mode is available now via the Shutterstock customer app on iOS. The post Shutterstock’s New AR Feature Lets You Preview Wall Art Before Purchasing appeared first on VRScout. The Jack Daniel’s AR Experience app is available now through the iOS App Storefor iPhones and iPads, and through the Google Play Store for Android users. In addition to being age-gated through both stores for users 17 and up, the app requires a 21-or-older age-confirming birthdate on first run. This article by Jeremy Horowitz originally appeared on VentureBeat. The post Jack Daniel’s AR App Turns Whiskey Bottles Into Little 3D Dioramas appeared first on UploadVR.